Gorgeous vintage silver Navajo ring by Sarah Curley. 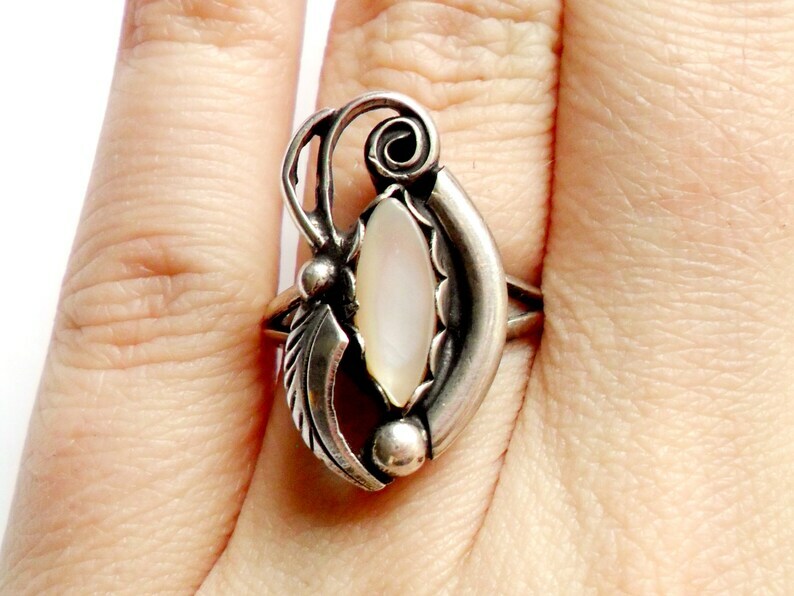 This ring has a leaf design with a mother of pearl accent. It is a comfortable piece and has a wonderful darkened patina. It should only be lightly polished with a soft cloth, in order to keep the patina intact. Unmarked silver, signed "SC" for Sarah Curley. Size 8.75. Face of ring measures approximately 1 inch.